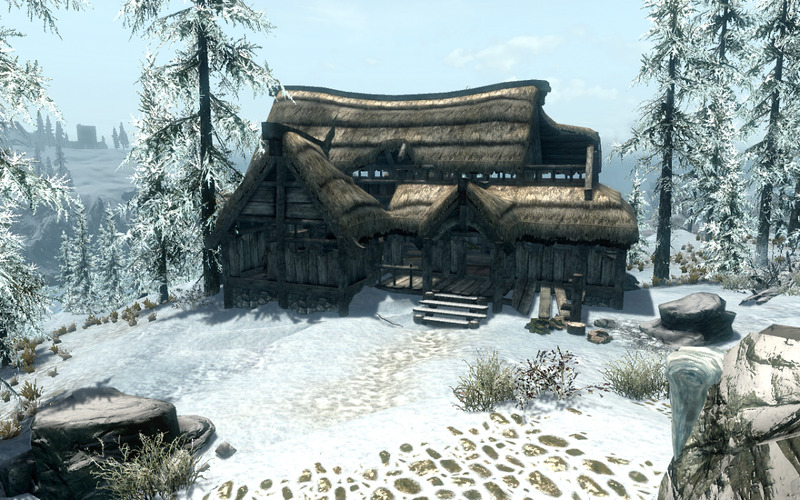 This walkthrough guide for The Elder Scrolls V: Skyrim serves to assist players in finding Treasure Map 5 and the associated Treasure Chest as part of the series of unmarked objectives known collectively as The Great Skyrim Treasure Hunt. 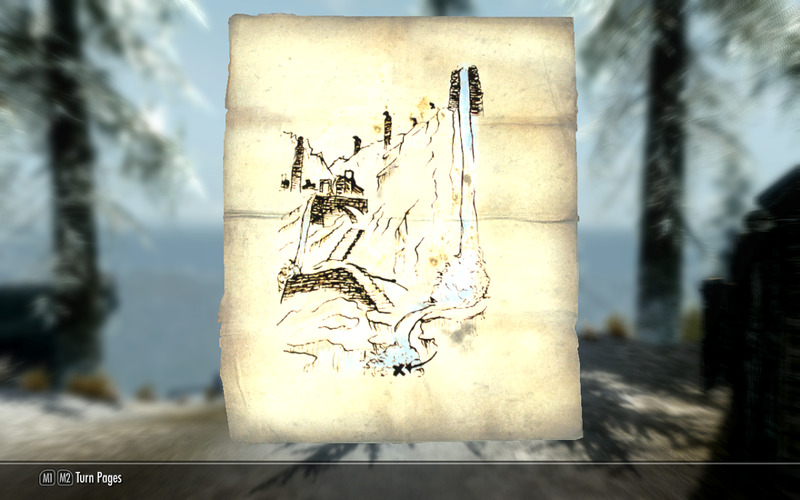 The maps that make up the treasure hunt can be found in various locations around Skyrim. Each of these chests are filled with an assortment of leveled valuables, the worth of which is determined by your current character level. Note: Remember you can only find the treasure chest once you have retrieved the proper map to begin with. 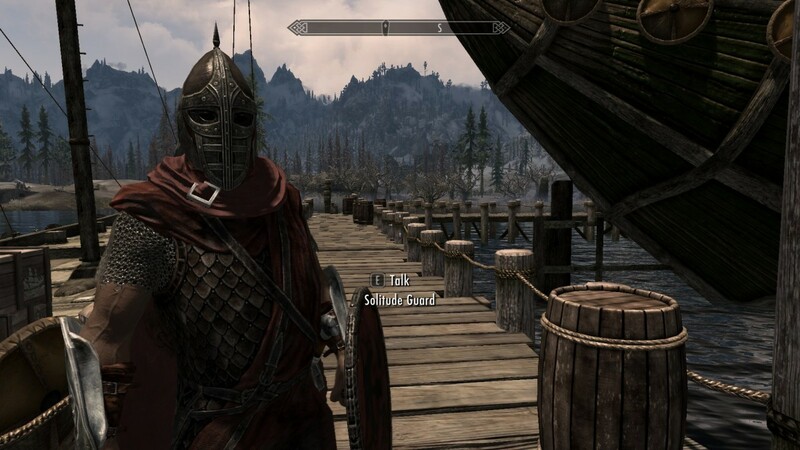 You cannot skip ahead and try to head to the chest without first finding the map, as it will not be there. 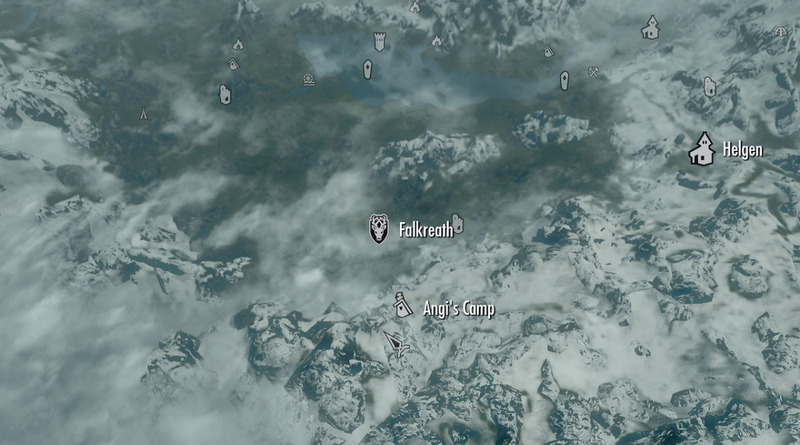 To find Treasure Map 5, you will need to head to the primary location Angi's Camp which is just south of Falkreath, up in the mountains that overlook much of the hold area. 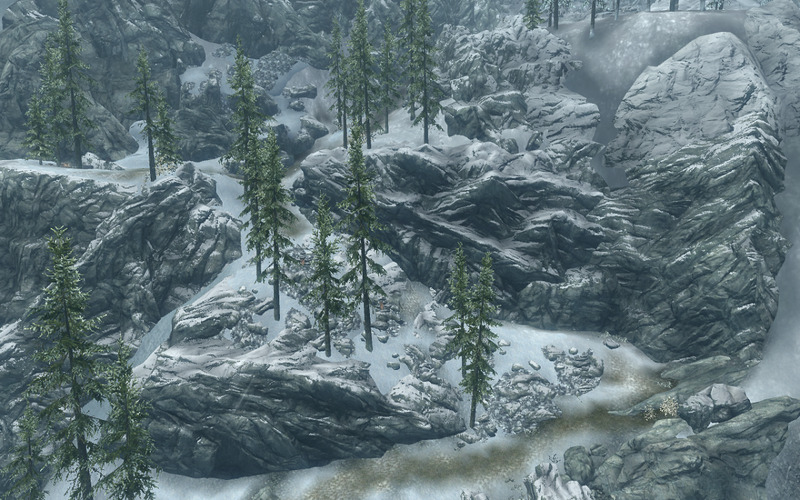 Evewn though it may look as though you can actually just head south from the capital city, you will instead have to travel quite a bit east past Peak's Shade Tower and watch the edge of the mountains until you find a path that can take you up through the high ground. Landmark wise, the path will be to the right, quite soon after you pass an unmarked secondary location with some Bandits occupying a pair of wooden towers and a bridge that connects them which the road you will be travelling on passes underneath. This path will wind quite a bit but you should generally be heading southwest and progressively higher up the mountain. Eventually you will reach a rocky area with some stone flag markers that lead up to another more road like path even higher up which can be seen in the pictures too the right. Follow this route and then continue until you reach a fork in the road with another stone marker. 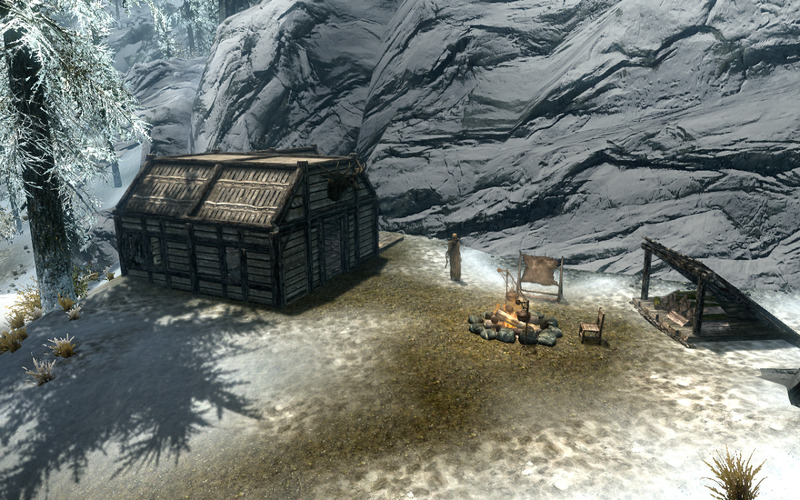 At this point you will want to take the right path which actually heads down the mountain a tiny bit, before curving around and ending at Angi's Camp itself. Once you've reached the camp, the hard part is over. 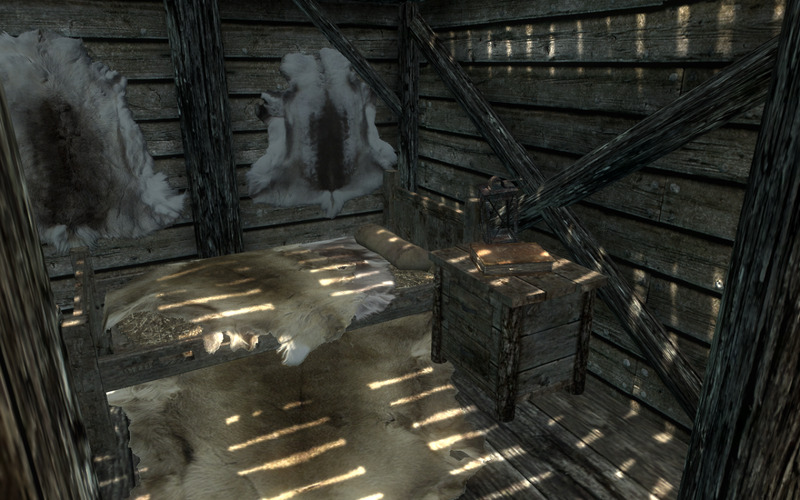 Just enter her shack and head to the bedroom (the building is small so there are not many rooms to check) and open the end table right next to the bed. You will find Treasure Map V inside along with some various other items that you can take without it being seen as stealing. 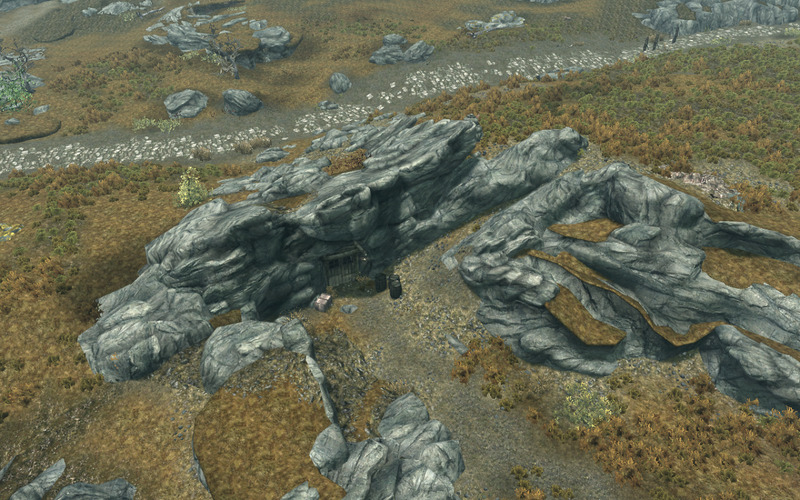 Compared to finding the map, locating it's associated Treasure Chest is relatively easy to do so, at least when considering how to reach the primary location it is situated near. 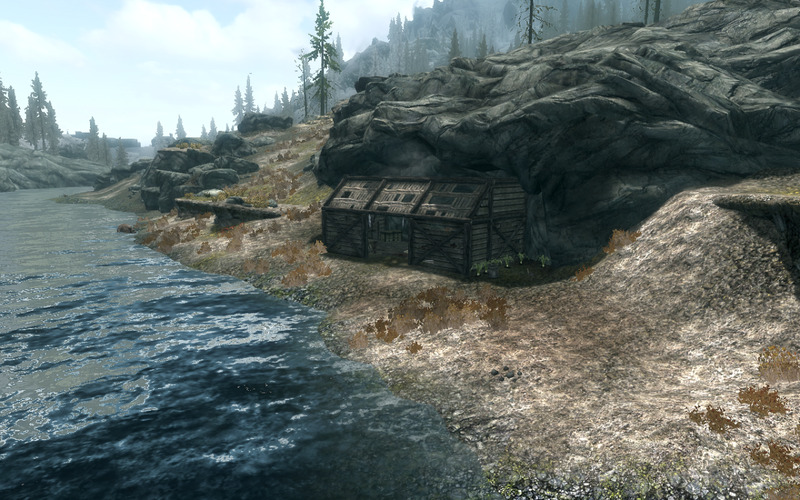 You will have to make your way to Lost Valley Redoubt which is a forsworn encampment that is south of Rorikstead and northwest some ways from Falkreath. 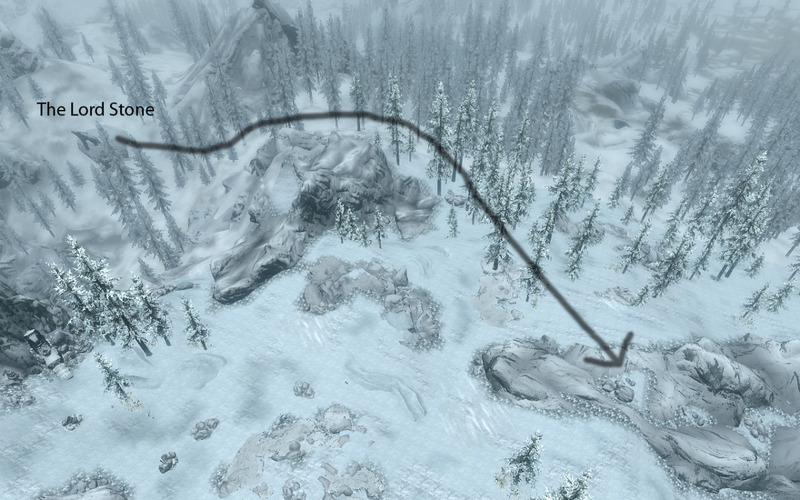 The easiest way to get here is by traveling from the town of Rorikstead and heading directly south as there is little in the way of significant land obstruction that will prevent you from taking a straight path. 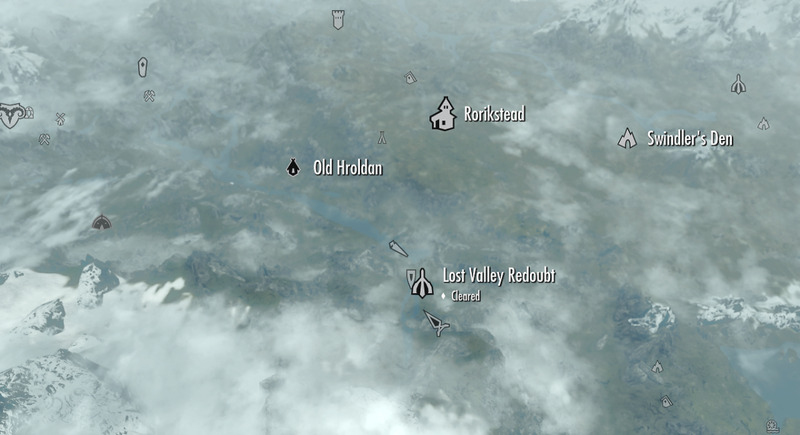 If you haven't located this town yet, just head directly west out of Whiterun a far way, past Swindler's Den, all of which can be seen on the map below with the exception of Whiterun itself. 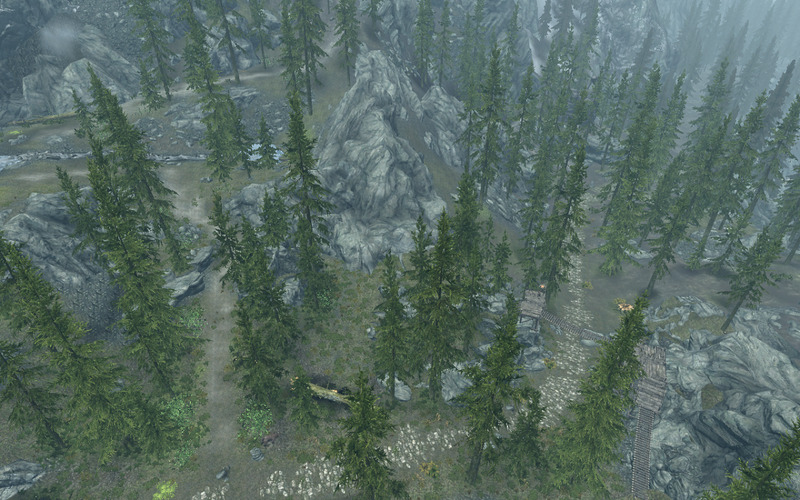 Fast travelling to Lost Valley Redoubt will deposit you right next to the chest's location. 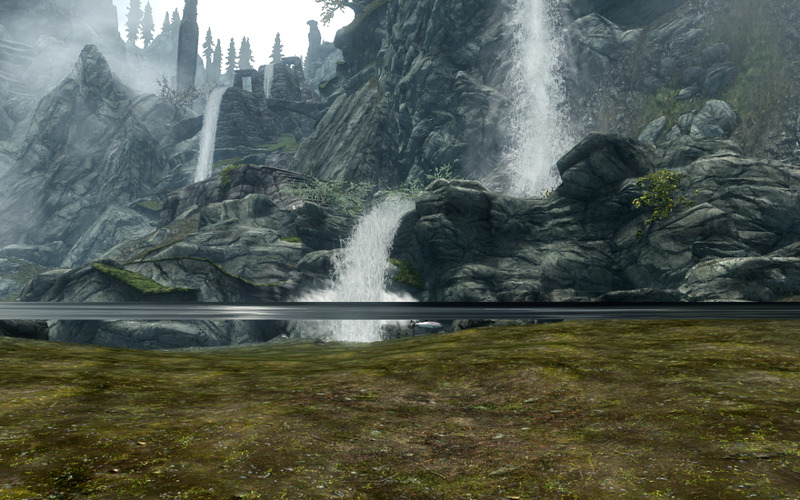 Once at this location, now comes the slightly tricky part, as the chest itself is rather obscured by the waterfall. In this case hwoever, i have added two pictures that can be seen on the right, the first of which (after the map that is) has the exact chest location circled in blue. 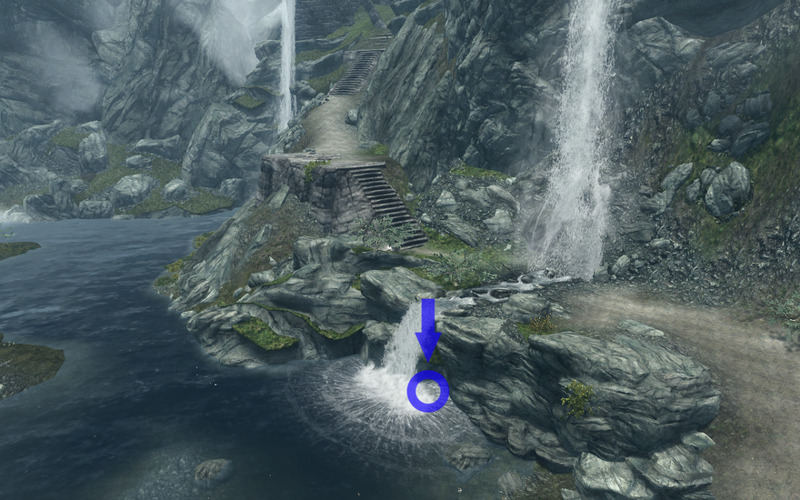 Just head to the very bottom of the waterfall and walk through the pouring water itself to reach a little nook and your well earned loot, leaving as a slightly richer Dragonborn. 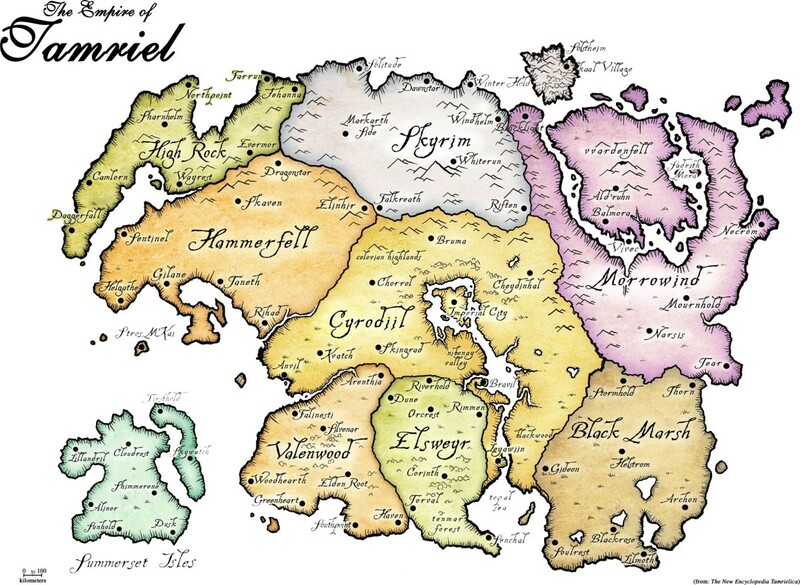 Treasure Map VI - Great Skyrim Treasure Hunt - "Elder Scrolls V: Skyrim"
Treasure Map VII - Great Skyrim Treasure Hunt - "Elder Scrolls V: Skyrim"